What Are People Saying About Beth Murch? "Beth was absolutely fabulous. Since it was a fast labour and delivery, Beth helped my husband and I verbally with great words of encouragement. Her after-visit care was greatly appreciated! I would highly recommend Beth to other friends and will contact Beth when we are expecting our next baby (in a few years)." and trying to get to know our new baby." "It was important to me that Hans could stay at my side and that (Beth) was able to do "errands" and stuff so that he could stay there. I also thought Beth's voice was calming and encouraging...I needed the reminder for breathing slow and deep to help manage each contraction." "Beth is great support. She filled the role of a support person for me. I am a single mom and to have that was absolutely essential in every way. When I first met Beth, I was 19 and was scared and felt overwhelmed. I was dealing with the fact that I was pregnant. I was able to make my choice, which was parenting. Beth watched over my pregnancy and saw me mature into a young adult. Her knowledge and support were helpful. She was there when I needed her, even if it was just a question. She didn't even care about the 3AM phone calls when I was concerned. She came when I was in active labour and helped me through my contractions. She was great labour support. She was there when the midwife and obstetrician weren't. She helped me plan the birth. I would recommend Beth as a doula." "Beth was a great support for me and my family. Since it was my first baby and I had a very long labour (22 hrs), I did not know what to expect - but Beth was there with me the whole time. She was very encouraging in every aspect. Her soothing words and breathing techniques were a great help when I was having contractions. I cannot say that I couldn't have done without her, but if she wasn't there by my side, my labour would have been very tough. I would recommend a doula, especially Beth, to everyone. Beth...you are an awesome person and doula! Keep up the good work. Again, thanks for everything!!! "Having Beth as a doula was very helpful. It was great having an extra pair of hands during labour and after the birth. We found it very reassuring to have someone present who understood the labour process and who could support us through it. Beth reminded Teresa to breathe deeply through her contractions and to vocalize effectively. She provided counter-pressure against back pain. Beth also provided hot packs that were essential for comfort during contractions! After the birth, Beth made a light meal and helped to clean up. We were really glad to have her at our baby's birth." "When I was pregnant with my first child I lived in the city of Toronto. I had a midwife and planned to have a natural birth at home. Although the home birth was not a possibility, I had a birth plan and had wonderful prenatal care. When I unexpectedly became pregnant with my second child, I envisioned the same process that would include the most natural birth plan. However, little did I know what life had planned for me. I first heard of Beth from a coworker. The coworker suggested that I look into having a doula to assist in the birth of my second child. I had already connected and obtained a midwife. However, the unforeseen happened and one of my prenatal tests came back with several areas of concern. After several prenatal tests and some genetic counselling, our son was diagnosed with Down Syndrome and a heart defect. Many of my coworkers knew my situation and my struggle with the pregnancy. As a gift, they purchased "Beth's Services" for me, as I could no longer give birth with the assistance of my midwife as I would now have to have my son at McMaster University Hospital. Since my midwife was located in Kitchener, she was unable to come with me. Having Beth involved was an amazing experience. I was under lots of stress while I was pregnant, knowing that the child I was carrying had many health concerns. Beth was able to meet with me and let me talk about my anxiety, my birth plan and she even read some of the books that I was reading on Down Syndrome. Wow, to think that my doula would go so far as to read about the chromosomal condition of my child just so she could connect more with me...! It was amazing and very comforting. My induction was planned at McMaster and even though my pregnancy was filled with risks and health concerns, I expected a regular delivery and so did my doctor. However, Beth and myself were in for a bit of an adventure. I say "Beth and I" because during the delivery my husband got food poisoning and he had to be absent for most of the delivery. The birth that I had anticipated had turned into a crazy ordeal of "let's try this procedure" and "we have never seen this happen before". After endless procedures that included many painful and bizarre things, my son Wysdom was born via emergency c-section. Beth was able to comfort me, distract me and be there with me during the labor which was very long. This was a great asset because throughout the labor, my son's heart rate kept falling and it became the reason that I could not deliver naturally. Afterwards, I had asked Beth if she had know about all the crazy things that they had done...because, frankly, I had never heard of half of them before. Beth has continued to be a gift to me. She still supports me now on my journey. Wysdom has had lots of health issues and Beth has been there sending me positive messages and support. I think that any woman would be lucky to have her be part of her delivery or home support." "My daughter was 9lbs 7 oz and many people have gasped at her size. Truly the labor and delivery was the easiest part of my pregnancy and having Beth as a part of it, I believe helped a lot. I would recommend Beth's services because being relaxed during delivery is so important as it not only helps during the magical event but aids in a speedy recovery." " When we first found out that we were having our first baby, my husband and I knew we were in it alone. Neither of us had family that was able to help in any way and most of them were so far away that all we were likely to receive as support was an email or the occasional phone call. As I began looking into our options for prenatal care, I noticed the term "doula" came up quite a bit from many sources. What was this mysterious "doula"? Around that same time I had read a book by Ina May Gaskin and I had known upon finishing it that I needed support. I needed a neutral party, a helping hand, a kind voice, a reassuring touch. That's just what I found. I honestly don't know what initially pulled me towards having a doula, but once I began surfing the internet and understanding that a doula was just what we needed I was hooked. Beth's website was the first to come up and I immediately saw that she was just what I, we, needed. I had to convince my husband of this however. He was certain that such things weren't a necessity, and I don't blame him. We were tight on money and still had a baby arsenal to purchase. Neither of us had any idea what we got into, but hiring Beth would soon prove to be the best money we could have spent! After meeting with Beth - and seeing how she made me smile, laugh, giggle and feel at ease - my husband was assured. After all, even if for nothing else a little laughter can get a woman through! The weeks passed and as my belly grew so did our relationship with Beth. Our needs from her were fairly unique as I just needed someone to talk to, someone who would read my long winded emails or chat with me about anything and tell me I'm not crazy for peeing my pants or wanting to kill my husband because he wore the cologne...that I bought him. Beth made me feel a sense of security, safety and comfort. In turn, my husband relaxed about many things and whenever I was anxious or unsure I fired off an email to Beth and we went to bed knowing that something was going to be done about it. When I went into labour we called Beth almost immediately. It was 3 am and we were clueless, everything the prenatal class had taught us went out the window and we just sat there anticipating Beth's arrival at our house so that we could figure out what to do. When she came I heard an audible sigh of relief from my husband and from within myself too. From the moment that she got there her voice was a beacon of pleasure, a true sign that everything was going to be okay. We could do it! The hours passed during my long labour and Beth coached me through with ease. Her ability to suggest solutions, ideas and keep Ryan informed was fantastic. I was relaxed, happy and even laughing occasionally. When I discovered the pleasures of sitting in the shower, Beth hopped right in and massaged me, coached me through and coaxed the tension out of my body with her reassurance. We ended up driving to the hospital shortly after - a trip we'd make twice due to an inattentive midwife changing her mind - all the while Beth kept holding my hand, talking to me and keeping me sane. Bump after terrible bump. As my labour progressed it was clear that my birth plan was out the window. My long labour wasn't progressing and my attending midwife was clearly making a series of bad judgment calls. During such a difficult time, Beth kept strong and translated the influx of information we were receiving. Even in the sleepiness of a long day gone by her words wrapped around me like a warm hug. I knew I was okay. I'm convinced entirely that without her support my husband would have gone mad, and I would have ended up with a c-section. We welcomed our beautiful baby girl into the world that day with her by our side, I'm proud to say it. I'll never be able to judge the value of Beth beyond what I can comprehend, but I now consider her a lovely friend and great woman. I can only hope that other mothers and babies are blessed to have her in their life too. Thank you Beth. We love you. " "Beth Murch is the calm during the storm. She has been there for every moment throughout my pregnancy when I needed someone and was the best support I could have hoped for during labour and delivery. When I had a minor scare during pregnancy and had to go to the hospital (the day after we met), she was there. She has been there for all of the ups and downs and listened to my whining when the pregnancy was not ending with a constant open ear. During labour, she helped me find the groove and got me to the point where I could focus and forget the moment... and before she got me there she had lime*. When it was almost over and very intense, Beth helped me to best my fear and everything progressed and finished so quickly. I am so far beyond grateful for all of her help. I had the birth I wanted and that was best for my child because Beth was there. Thank you Beth for doing what you do!!!!" *Note from Beth: Lemons and limes are great things for your doula to have on hand during your labour because smelling their crisp, clean scent helps to battle the nausea that many mamas experience as they birth their babies. "Beth, I know that my birth of Annabelle is almost a year and a half behind me, but I just had the sudden urge to thank you again for being my doula. I was poking around the Unnecesarean website [http://www.theunnecesarean.com/] and I suddenly was so thankful that I managed to avoid a c-section...so, thank you, once again, for your doula-riffic support." "There are many decisions and choices that were made during the pregnancy and labor that we question, but there is one thing that we know was the right decision, and that was to hire Beth. You take prenatal classes, read books and talk with mothers, but until you actually go through it, nothing can completely prepare you for what happens during labor. Especially because it can be unpredictable. We wanted a natural birth, but I had to be induced because the baby wasn't coming. I knew that this meant the labor will be even more difficult to do naturally. Beth was with me with every contraction; encouraging me and helping me stay focused, helping my husband support me. More than that, Beth's knowledge and experience made it easy for her to answer our questions both in the weeks leading up to the labor, during the labor and after the labor. Had Beth not been there to address our many concerns, the actual labor would have been a much more frightening and stressful experience. Owing to her very pleasant personality, she also got along just fine with the medical staff and knew what to expect from them. After our baby was born, Beth once again proved to be of value when we were having problems with breastfeeding. Thank you, Beth!" "Beth, I really want you to know that I feel blessed to have had you be a part of the birth of Eli'Jah. You were such a great help. I never knew what a doula was or what they were capable of until I met you. I can honestly say that you are an easy going , kind, gentle to the touch woman. I never knew that you can ease labour pain but you have hands of gold. Even though I didn't feel like I was doing great, you were there to reassure me that I was doing very well. You made it easy to get through any doubts and pressure that I had during labour. Thank you so much for all your support and I hope the next soon-to-be mom that you come across has the same experience that I had with you. Thank you again and God bless your heart and those hands of gold :-) "
"Beth was a great support for me. She helped me with my first child and with my second child. She supported me coming up with a plan to tell my parents that I was pregnant. I was 22 at the time, pregnant with my 2nd child as a single mom. She was a big support when it came to dealing with FACS and my family. When I was put in the hospital on bed rest, she came and cleaned my house, brought me Timmies, fed my turtle, came for ultrasounds, let me borrow books, kept me company and went on errands for me. She offered me moral support. Beth went above and beyond the role of her job. She took me to see my daughter and was there when my FACS worker came as well. I LOVE MY DAUGHTER VERY MUCH. Things worked out differently than planned, but Beth was there through the whole entire year." "Midway through my pregnancy, I read "Ina May's Guide to Childbirth" which convinced me that I wanted to birth my baby naturally. In order to ensure my husband Chris and I had the support we needed for this, we decided to enlist the services of a doula. When I searched online for doulas in our area, Beth's website was the first one that came up. I started reading through the testimonials on this page and found myself in tears! What beautiful stories, and clearly Beth had made a huge, positive impact on the birth experiences of these families! I immediately sent an email to Beth and we met with her a couple weeks later. Chris and I felt an instant connection with her and many positive vibes, so we decided we definitely wanted her as our doula. Throughout the weeks leading up to the birth of our daughter Starryn Elora, Beth was always available to answer questions and address any concerns we had. During labour and delivery itself, she was wonderfully encouraging and reassuring which helped us achieve our goals of a natural, unmedicated birth. And following the birth, she continued to be available to provide postpartum support and advice. Through it all, Beth has not only been a tremendous asset to us in achieving our childbirth goals, but she has also become a friend. She is a positive, kind, patient and knowledgeable woman, and we would wholeheartedly recommend her to other families looking for a doula in the KW area." "When I first heard about doulas during my pregnancy, I was very excited, as my husband has a history of fainting at the sight of blood. The instructor of our prenatal class recommended several doulas ,including Beth. Within several minutes after meeting Beth, I knew she was the one I wanted because she made me feel calm and at ease with her knowledge, experience and pleasant personality. On New Year's Eve of 2011, our son Alex decided to arrive almost 3 weeks earlier than expected. Beth was in Sarnia, which was almost 3 hours away, celebrating New Year's with her family. She asked her dad to drive her back to Kitchener Grand River Hospital immediately. The labor progressed really fast and I was in great pain after my water broke. Everything the prenatal class had taught us and my plan of a non-epidural birth went out the window. I asked for morphine and then an epidural when Beth was on her way to the hospital. I was drowsy when Beth arrived around midnight. She was there with us the whole night until Alex was born at 8am the next morning. Throughout the weeks leading up to the birth, Beth was always available to answer questions and address any concerns we had. Following the birth, she continued to provide help when we were having problems with breastfeeding. Beth also encapsulated my son's placenta which I wouldn't have the stomach to do myself! Thank you, Beth!" "We knew Beth from our community, thus she was a natural choice for us as our doula. We had always known Beth to be sweet, lighthearted and insightful about birth. We decided quite late in our pregnancy to have a doula at our home birth and she was very understanding of this and helped us create a very specific birth plan. When I went into labour in the wee hours of the morning, Beth came over to keep me company while my partner Neill caught up on some much needed rest. Our son, Brogan, was posterior and I had a very long and painful 30 hour labour, which did not progress in a timely fashion. Beth was there the entire time to chat with Neill and I, prepare us snacks, use counter pressure on my body to relieve the pain and to give Neill breaks. Though our dreams of having a home birth faded, Beth attended us at the hospital and helped us to maintain perspective of our decisions with her wide range of knowledge and gentle understanding. Beth was with us the entire time and even took pictures of our birth, as requested. Within 6 hours of arriving at the hospital, our healthy son, Brogan Hickory, turned and was born. Neill and I felt really confident in Beth's ability to vouch for us if necessary. Beth also encapsulated my son's placenta so that I could enjoy the many benefits of ingesting it! We are truly blessed to have had such a beautiful woman help us on our journey to parenthood. "Have you ever felt blessed by an experience? This is very much how we have felt with Beth. From the moment we met with her to the support that we received after the birth of our child, we felt this way due to her expertise, loving attitude, and care. I can not imagine what I would have done without her when I was in triage during contractions. We would highly recommend Beth to any expectant parent - she is very much a great ambassador and asset to her field." "My husband and I hired Beth when we were expecting our first child in December 2012. The primary reasons is that this is being our first pregnancy and this was a road we have never traveled before. We are both professionals ourselves and we believe that we needed a professional like Beth in her field to guide us along the most important journey of our lives. We also have two respectively mothers with all the great intentions but not so great advice and "stories" or "ideas" of how pregnancy and labour should go for the new parents. We needed someone who is professional and objective to help us on this journey and Beth was invaluable as that person. Beth was available to us via person, email and phone if i had any questions at all about the symptoms or discomforts that i was feeling. She provided reassurance and often a listening ear especially to pregnant moms who are not necessarily feeling the maternal glow at all times. I have learned that every pregnancy is different and sometimes the family doctor or Ob is not available to answer any concerns you may have at that time like Beth is able to. During the labour process, husbands are great as support,doulas are better 'cos they know what to do. I had a lot of back contractions and Beth was able to massage them to make it less painful and conserve the energy for the latter part of the labour. More importantly she is also your advocate in the hospital to make sure you have the information you need to make the choice you are most comfortable with. She is there to relieve dear husband cos he will need them during the 20 hour marathon. I had planned on a natural childbirth and if possibile no epidural and IV because of my phobia with needles. Often in childbirth, things do not go as planned and I had to have an IV, epidural and a C section eventually as I was running a fever. I don't think I would have made it through without Beth holding my hand and reassuring my husband during the procedures. Beth stayed with us until after the C-section was over. Even after bringing the baby home, Beth provided great after birth support for lactation, baby's sleeping issues and questions that most new mums have. We really appreciated having Beth along on this journey and we will highly recommend her services to any new parents embarking on theirs." "It was a delight to hire Beth to be our doula on our special day. As a first time mom I was nervous about labour and not sure how my partner was going to handle things (he readily admitted that he gets queasy easily!). We chose Beth because of her calm, reassuring manner, her flexible working style and her ability to read situations and anticipate the needs of everyone in the room. Knowing that Beth was going to be there for us took a huge weight off of me, and I kind of felt she was like an ‘insurance policy’ for supporting me! We talked at length before the labour about how it might go, and how to ensure that my partner was the principle ‘comfort- giver’ for me, and that Beth would supplement his efforts as needed. It was really important for us to start the labour as a couple so we had the experience together, and then have Beth arrive a bit further in to the labour. And because of her flexibility and amazing personality, she was very supportive of this. The actual labour went so quickly that we called Beth to come to the hospital just in time for me to start pushing! It was so reassuring to see her face and hear her soft voice encouraging me. She managed to remember to take photos for the whole and otherwise we would not have had such a beautiful account of the birth of daughter Florence. She gave me great advice to take home when we left the hospital and I felt confident starting my journey as a mom. I would say the most helpful thing that Beth has provided is that reassurance that no matter what time of day it is, I can call her for help and support. There were a couple times really late at night where our daughter had some funny stuff happening and I was able to get Beth’s opinion right away about what we should do. That has been invaluable and we underestimated how great this is. We are so grateful that Beth could be part of our special day, and encourage anyone thinking of hiring a doula to choose Beth. Thanks Beth for all you’ve done- we love you!" "When I found out I was having baby number 4, I knew I wanted a doula by my side. After coming across Beth's website and meeting her, I knew she was the doula for me. Her nurturing spirit and gentle, calming, presence was just what I needed when my home birth turned into an emergency hospital transfer. A post date ultrasound revealed low amniotic fluid, so off we went, with no time to even pack a bag. Beth never left my side and made sure I stayed calm and focused. Beth stayed with me and kept me company after the birth, when my husband had to run home to check on our other children and I was too anxious to stay alone. A few days later, when my baby ended up at McMaster Children's Hospital and was diagnosed with Hirschsprung's disease, Beth kept me strong with her words of encouragement and love. She sent me a basket of goodies to help keep my milk supply up when I was devastated over its decline. I am so glad that I chose Beth to be my doula. I knew the support would be nice, but I never imagined how crucial it ended up being in the end." Thank you so much for being our doula support for the birth of our son, Gavin! I can't imagine what it would've been like without your help. Though we had a few minor complications, everything felt perfect to me :) Your support through the labour was incredible and made me feel quite empowered (very important when you're pushing a baby out for the first time!). The support through early labour was great too, having an experienced individual present when the midwife wasn't ended up being one of my top priorities. Thank you as well for our wonderful placenta pills, they've given me energy when I've most needed it in the terrible ups and downs of postpartum. The umbilical memento was very special too, we're planning to get it framed with Gavin's little footprint :) Thanks a million! I have very fond memories of birthing my two girls, and Beth Murch played a role as my doula in each of them. I know that not many can say that they remember their birth stories “fondly”, but I can. My births were both scary and exciting in different ways. When I birthed my eldest, I chose a water birth at home. The birth was fast, and the filling of the birth tub was slow. While I was waiting to be able to enter, Beth organized a system to hold hot packs to my belly and back, to relieve the pain of my contractions. My eldest daughter floated into the world in a tub of warm water, while my husband, my doula and my mother supported me, along with my midwives from beyond the walls of the tub. I was very lucky to have an easy, uncomplicated birth. However, the main reason I had hired Beth was that I knew that if there was a complication, I could trust Beth to accompany me to the hospital and help me voice my choices at a time when most of my rational thinking had gone out the window. She made me feel safe during a time when I was doing hard, frightening work for the very first time. The birth of my first daughter was fast and joyous, and I was glad to have Beth at my side to support my husband and me. When I became pregnant with my second daughter, I chose to have Beth as my doula once more. My first birth was so easy, that some people questioned my need to have “extra labor support”. I chose to have Beth as a doula however, mainly for the same reason as before. I knew that if I went to the hospital, I would need someone to help me voice my needs and wishes. I was confident that if I was rubbed the wrong way by someone, or that if I became angry, my experience of birth could be very different. 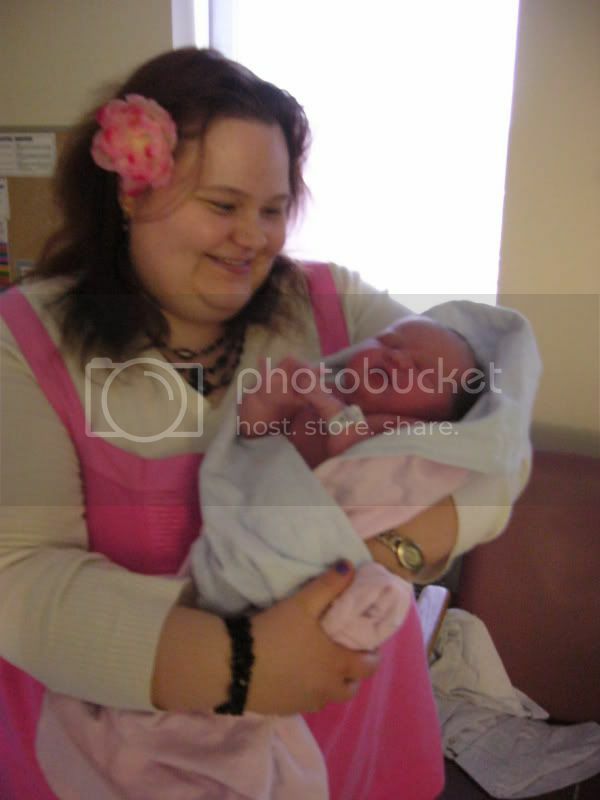 Although I had another “easy” birth, Beth played a pivotal role that I couldn’t have imagined. My first birth was 2.5 hours long, with 30 minutes of pushing. I called Beth when my contractions became more intense, and the feeling was about the same as it was when I had called her the first time I was labour. Minutes after she arrived, my water broke and everything happened very quickly after that. The midwives had not yet arrived. Since I was 10 days early, my primary midwife was not available. Though I had spoken to my midwife about the almost certain possibility that I would have a fast labour, I’m not sure if the secondary midwife was informed of this. In a matter of minutes after my water broke, I could feel the baby’s head engaging in my pelvis. I was scared. I wasn’t supposed to have the baby yet, there were no midwives there! But Beth was. Beth calmed me down, and helped me breath through the contractions. I was standing, and she helped me get into a position that would reduce the effect of gravity. Through all the feelings of panic and fear, I remember her voice calmly telling me what to do in order to have a safe birth. Eventually, as my baby’s head was crowning (about 15 minutes after my water breaking), Beth knew that the labour couldn’t be slowed down. I recall her telling me to breathe through the next contraction so she could check to see if the cord was wrapped around the neck, and luckily it wasn’t. At that point, I knew that the baby was almost here, and that we were both in good hands with Beth. I pushed once. My second daughter was born into Beth’s hands. The midwife arrived about 15 minutes later. In total, my second labour was about 45 minutes long, with two pushes. Between those moments, and since that time, I have thanked the universe many times over that I hired Beth, and that my husband didn’t have to perform emergency childbirth. Although she came completely unprepared to catch a baby without any midwives present, she stepped up and took control in a time when my husband and I could not. I was once told a story about an elderly woman who was overhearing some women talk about birth. Although she was in her eighties and had a poor memory regarding everyday events, her recollection of the birth of all her children was crystal clear. I know that I will also remember my births just as clearly. Embedded in those memories is my recollection of Beth being with me, encouraging me and providing the kind of support I needed at the time – even if it did surprise us all.